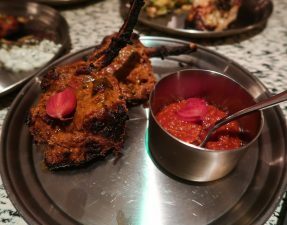 Coming from an Asian background, I’m sure you all would understand my reluctance to visit an Indian/Pakistani restaurant. First of all, curry is a staple in every household so going out for a good old Indian doesn’t really excite me. Secondly, and it goes without saying, nothing can compare to Mum’s creamy butter chicken with fluffy garlic and coriander naan. Thus, you can see why I’ve only written about a handful of them since I’ve started the blog, and always on the hunt for something different. 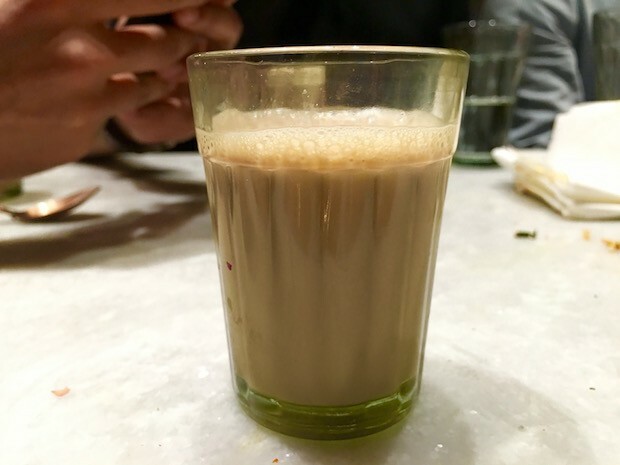 The relatively new Talli Joe is an example of different. 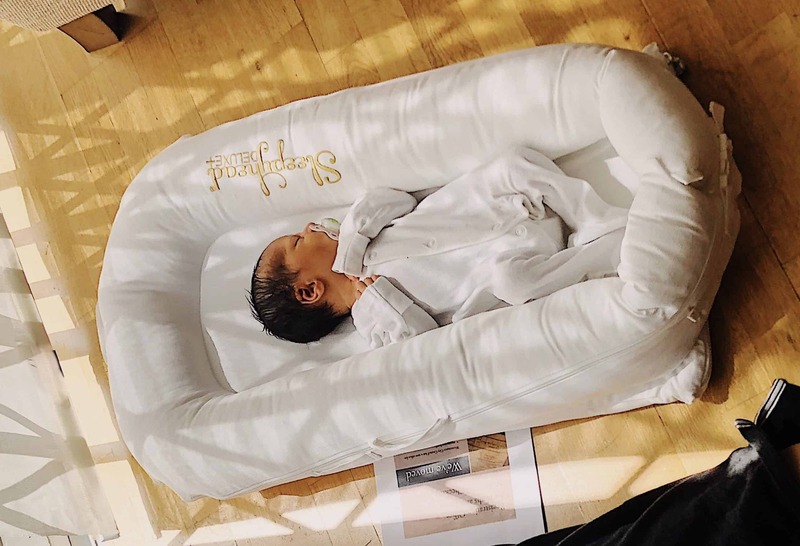 With a menu based upon the concept of tapas (the desi version), and one that has been created by the ex-head chef of Michelin-starred Benares, you know that the food is going to be great, and *shock horror* even as good as Mums! So, we got together with some friends and made our way over there one evening last week. 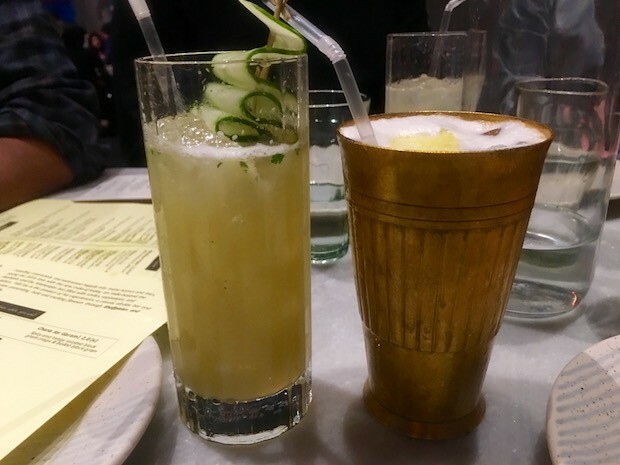 Refreshing drinks with an Indian twist. A few snacks to get us ready for our upcoming feast! 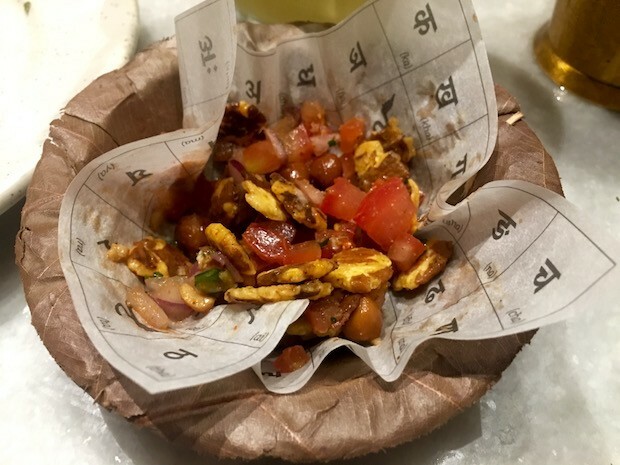 Ordinary chaat with an occasional sweet burst from the pomegranate seeds; nice but nothing special. 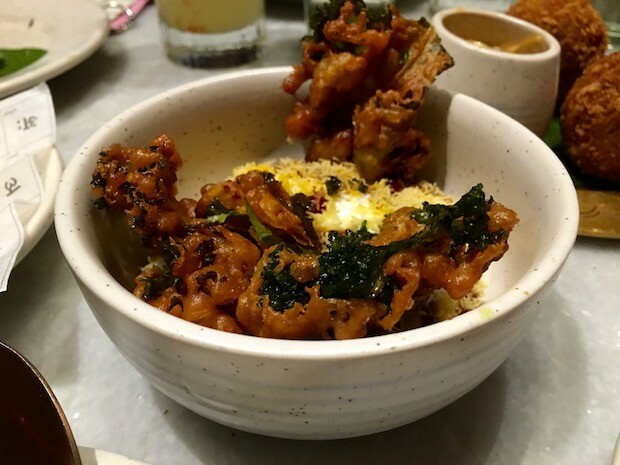 The crispy kale fritters didn’t really add much to the chaat either. Trying to squeeze some vegetables into my diet, I opted for this vegetarian slider. 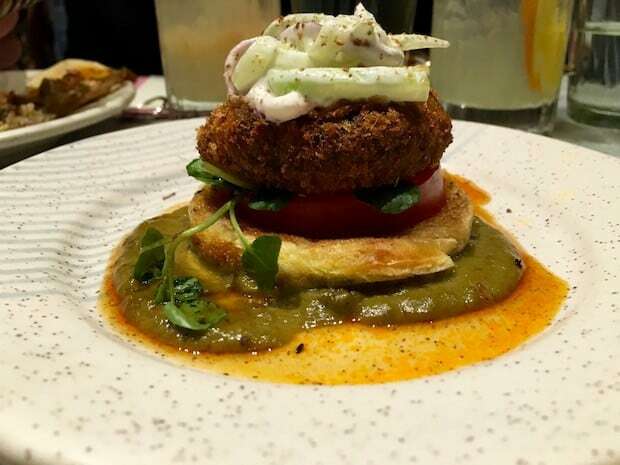 Made using black chickpea and banana flowers, the patty was deep-fried and sat upon a aromatic fenugreek mayo, toasted bun, and watercress salad. The slider was jampacked full of aromatic and spicy flavours, and had been topped with a creamy fennel slaw to provide some cooling to the mouth. 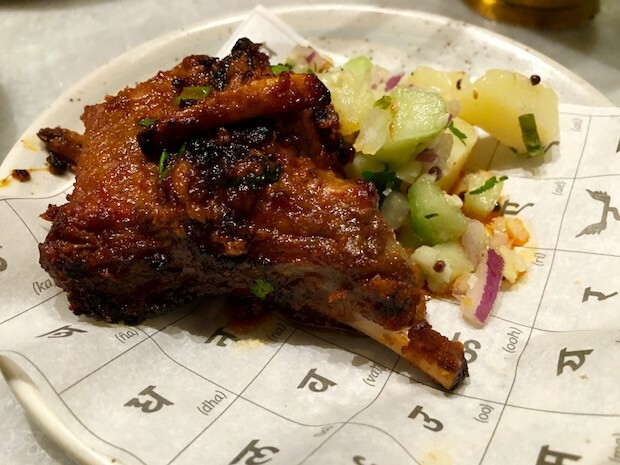 A tender, meaty lamb chop that had been smothered in a tandoori marinade, grilled to a lovely smokiness, and served with a soft potato salad. 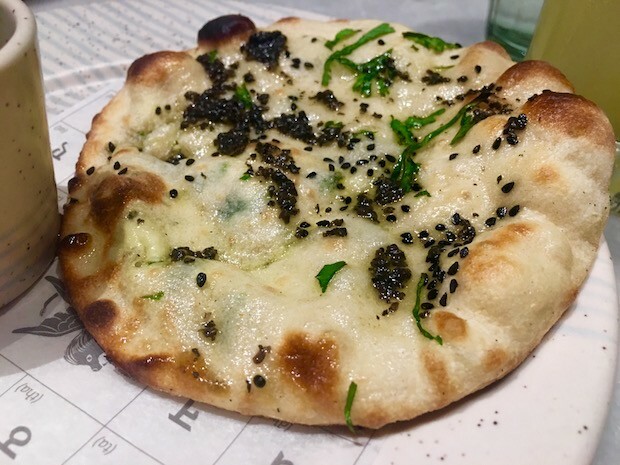 Perhaps the most indulgent naan I had come across; it had been stuffed with cottage cheese, brushed with garlicky truffle-infused ghee, and sprinkled with finely chopped black truffles. I thought it was good, especially with the accompanying coriander chutney, but not as great as I had imagined it to have been. 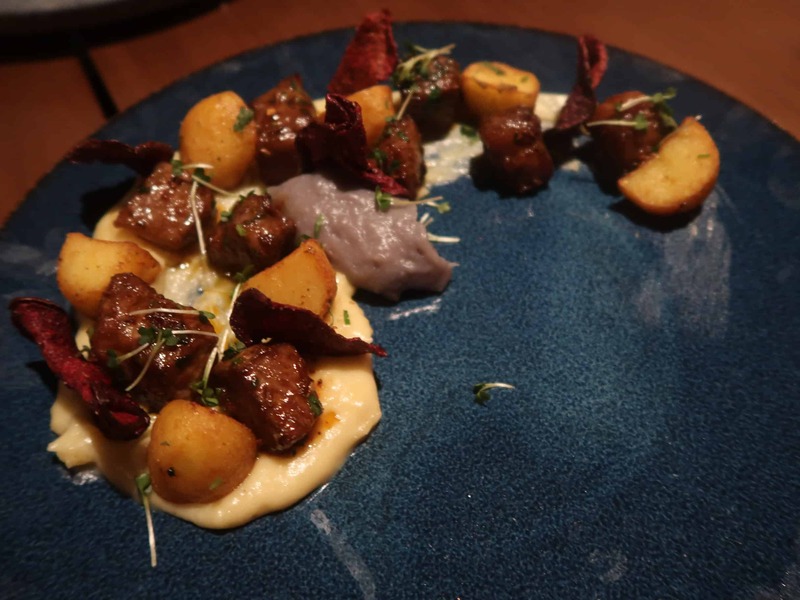 I wanted more of the buttery pungency from the black truffle to come through, but I still enjoyed every bite. 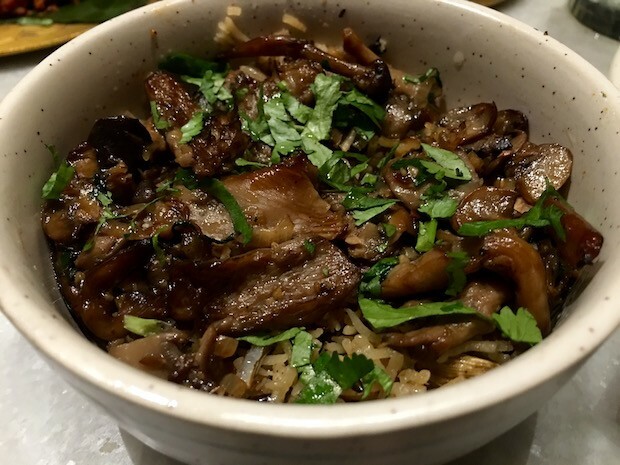 Wild rice pilau topped with mushrooms. Sadly, I didn’t manage to get a chance to try it but the table ordered seconds and thirds! 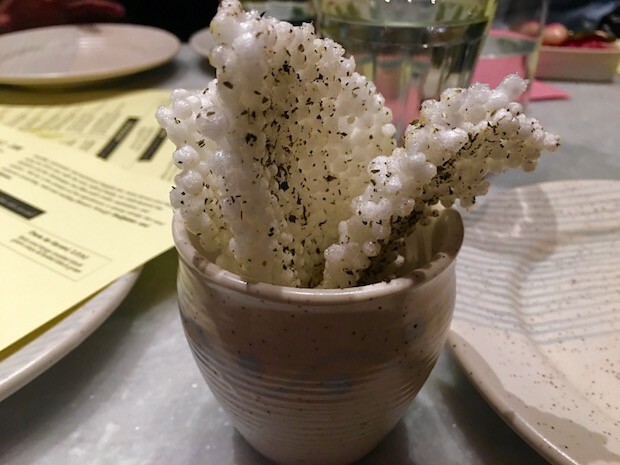 My least favourite dish of the night. 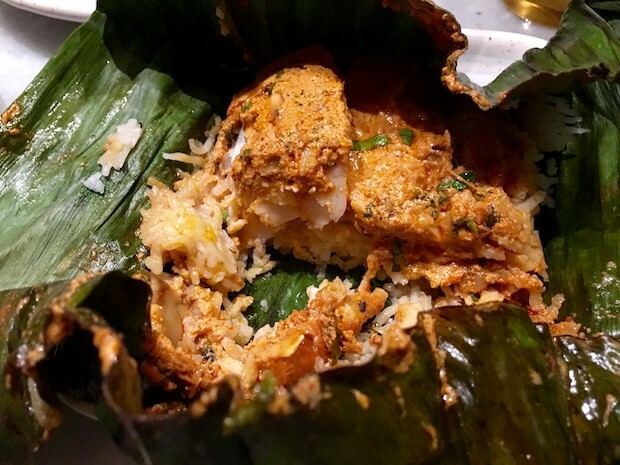 The sea bass was well cooked, but the flavour and spices seemed a little too much, and the rice was soggy. 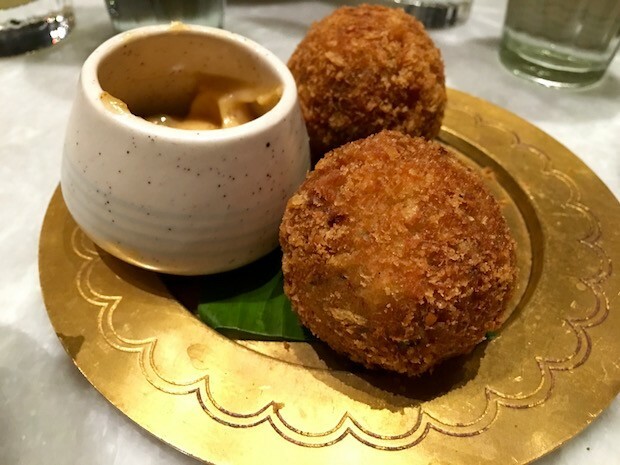 For those of you who eat crab, you cannot miss out on Talli Joe’s take on a scotch egg. 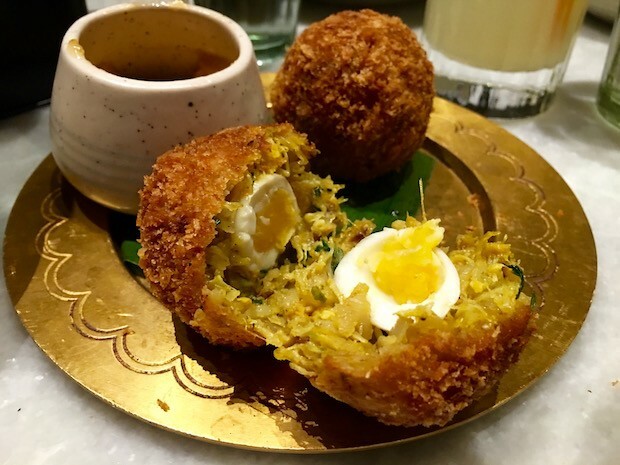 Flakes of curried, sweet crab-meat enveloped around a tiny quail egg, and deep-fried to a golden crisp. The accompanying tadka mayonnaise added a nice creaminess but wasn’t essential to the already flavourful scotch egg. Beef cubes that had been fried with chillies, black pepper, and curry leaves until it has reached a mouth-melting, aromatic dry beef curry. 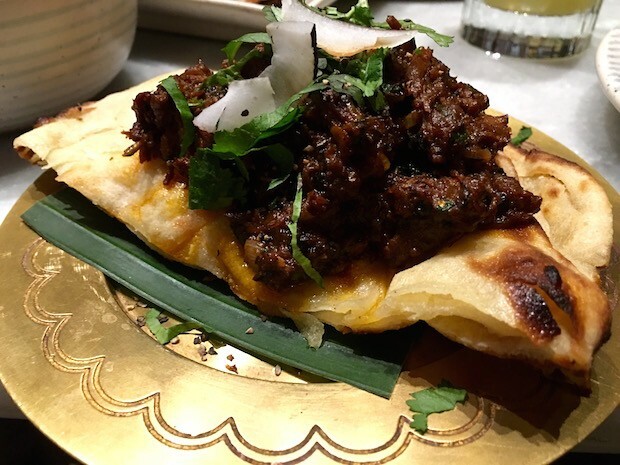 It had been served a top a slightly crisp, buttery paratha and was incredibly moreish with a good spicy kick. Related to the popular chicken 65, this chicken 21 was named after the number of times it took chef Sameer Taneja to get this dish right. 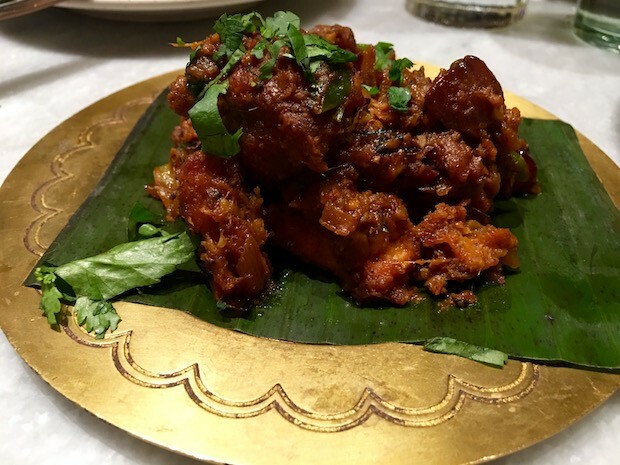 A fantastic dish consisting of delectable, crispy little chicken pieces that had been coated in a spicy, sweet, sticky sauce, and mixed with sauteed onions and curry leaves. 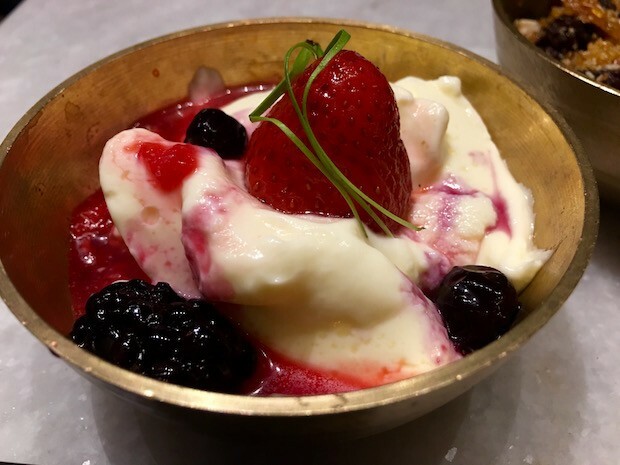 Baked yoghurt served with berries and a berry compote. 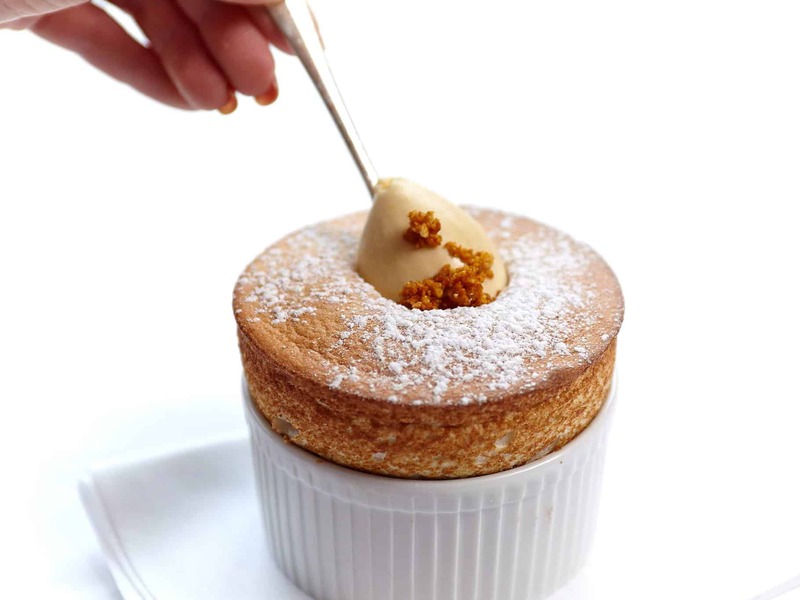 It was a light way to finish the meal, but even better was the next dessert! Possibly one of the best Indian desserts I have tasted. 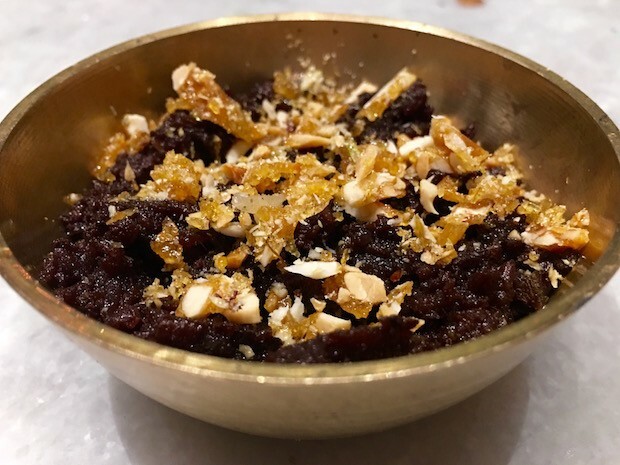 Warm, dark, gooey gajar halwa that was made using purple heritage carrots and topped with a crunchy, sweet peanut brittle. A great way to end our meal, and was sad that we had only ordered one! Arrived piping hot, but was heavy on the masala. 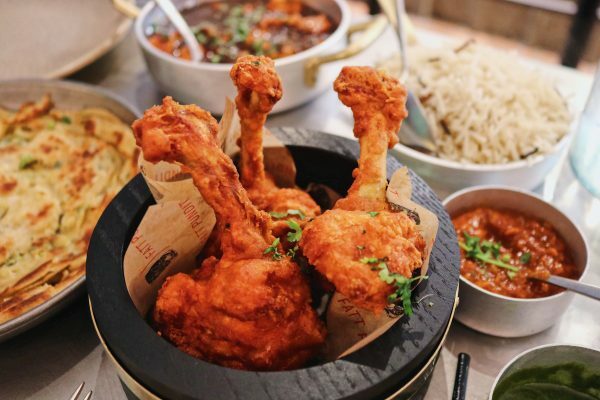 The whole concept of Indian tapas is fun, and Talli Joe is the perfect place to visit with a group of friends. 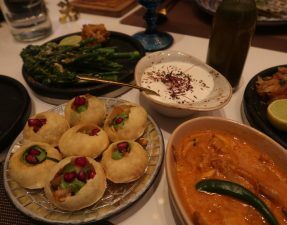 You can choose one of everything to have a little taster of each, and don’t be shy to order more as the food is dished out quickly. 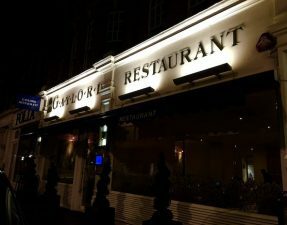 Most of the dishes range from £3-£10, and although we ordered enough food to feed me for a week, we ended up paying approximately £36 each (a total bill of £216 excluding service and a few drinks), which I thought wasn’t bad at all. Not easy but available on surrounding streets. Going here tomorrow so will order a selection of your recommendations! This place was a let down, most of the dishes mentioned above was no longer on the menu. 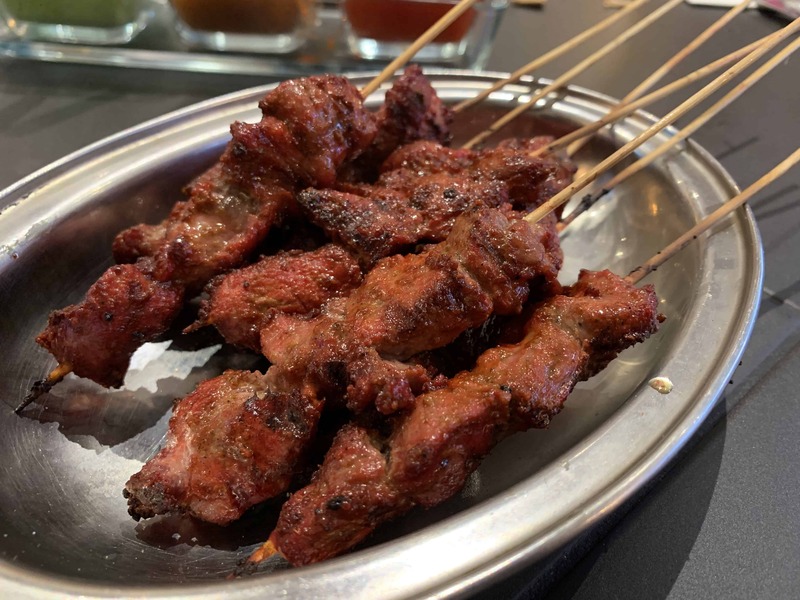 The service seems really poor, the waiters seemed inexperienced – one didn’t know what halal meant, the other had to keep asking someone else when questioned about a dish. The food was really mediocre.